"Tina Brooks was a sensitive human being and a brilliant saxophonist, who was crushed under the pressures of this industry. And he took the same route that a lot of guys did: self-destruction." Harrold Floyd "Tina" Brooks was born in Fayetteville, North Carolina. His father, David, played the piano and encouraged his eight children to study music. Of these, two became professionals: David, Jr. ("Bubba"), who went on to perform with Bill Doggett's combo [The Right Choice, Ichiban], and Tina. In 1944 the Brooks family moved to New York City, but Tina, who kept getting beaten up by street gangs in their new neighborhood, was sent back to Fayetteville for most of his high-school education, only returning to the metropolis for his senior year. In 1950, Bubba was established as an R&B player, and Tina replaced him for parts of that year and the next in Sonny Thompson's band, making his recording debut with them for King Records. Other R&B gigs followed with Charles Brown, Joe Morris, and Amos Milburn, and in spring and summer of 1955, Tina also toured with Lionel Hampton's orchestra. In 1956, Tina met the bebop trumpeter and composer Little Benny Harris at the Blue Morocco, a Bronx jazz club. Harris schooled him in modern jazz's complex and demanding structures. At the same time, Tina struck up a friendship with Elmo Hope, whose dark-hued, minor tunes may have influenced his style as a composer. With these two mentors, saxophonist Jimmy Lyons, and Oliver Beener (a trumpeter who became his closest friend), Tina gigged around the Bronx and jammed wherever he could. In late 1957, Benny Harris introduced Alfred Lion of Blue Note Records to Tina's playing. Favorably impressed, Lion used Tina on two Jimmy Smith sessions (The Sermon, and Cool Blues with Lou Donaldson) and two led by Kenny Burrell (Blue Lights and On View at the Five Spot Cafe). In addition, Brooks cut a record of his own with Lee Morgan (Minor Move). Through Lion, Tina also met tenor saxophonist Ike Quebec, who brought him and Freddie Hubbard together. Freddie used Tina on his first Blue Note record date (Open Sesame, recorded June 19, 1960). A week later, Tina cut another album, True Blue. 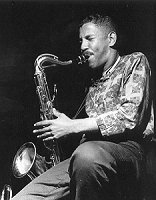 Other sessions followed, with Jackie McLean (Jackie's Bag), and Freddie Redd (Shades of Redd, and The Connection for Felsted Records, Brook's only recording not on Blue Note), plus another two unreleased dates, (one under his own name, The Waiting Game and another for Freddie Redd, Redd's Blues). By 1962, Brooks' career as a recording artist was over. Nonetheless, he continued to appear at Bronx jazz spots like the Blue Morocco, Freddie's Bar, and the 845 Club with Hope, Beener, and others. Heroin addiction--complete with spells in jail and in hospitals--limited his professional activity during the rest of his life. The official cause of his death in 1974 was kidney failure. He had been too ill to play for several years. As with dozens of other jazz musicians, the word "under-rated" is unavoidable in connection with Tina Brooks. Even during his period of greatest visibility (1958--1961), Brooks was unnoticed by most jazz fans; and were it not for Mosaic co-producer Michael Cuscuna's belief in his work, he would be even less recognized today. A selected discography of Tina Brooks albums. Minor Move, 1958, Blue Note. True Blue, 1960, Blue Note. Back To The Tracks, 1960, Blue Note. The Waiting Game, 1961, Blue Note.